We know it can be a little confusing, so if you don’t fully understand your options, please contact us and we’ll be more than happy to walk you through everything. These prices are for regular paintball play, both .50 and .68 calibre. 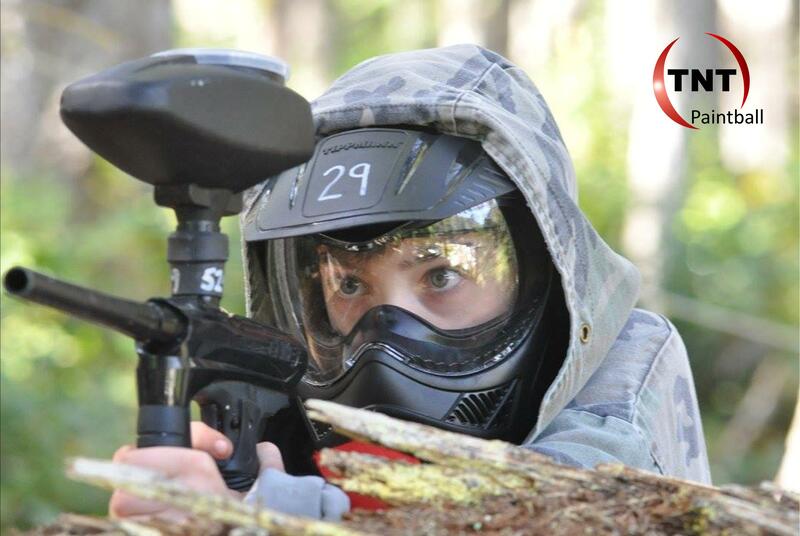 If you are looking for Splat Ball pricing (half speed paintball recommended for 8 – 12 year olds), you can find pricing and more information here. Also make sure to check out our special pricing and different game options toward the bottom of the page if you are looking for something other than our regular scheduled open play games. *Fees include: marker, mask, and camouflage top, use of playing fields, supplied referees, all day propellant. *Please Note: Prepaying for packages in advance is the only sure way of reserving your spot. 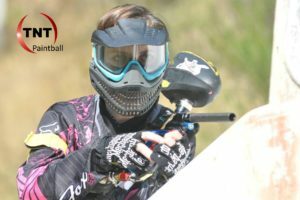 ALL paintballs must be purchased from TNT Paintball on day of play, no exceptions. The minimum age to play is 10 years old for both .50 and .68 calibre paintball, however we suggest a minimum of 12 years old for .68 calibre. FREE if you have a current annual or a lifetime membership. Info about memberships can be found here. 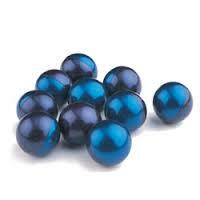 Paintballs are extra. We are a FPO (Feild Paint Only) facility. Outside paintballs are not permitted. Just click on the Book Now image on the left, pick the package that corresponds with the number of participants in your group and you can pick the day and time you would like to play. Payments are made through PayPal’s site but if you don’t have a PayPal account don’t worry, you will have the option to use several different types of credit cards. You can also call us by phone to make a booking and then pay with a credit card over the phone or make other arrangements. You will need some paintballs to play. We are a Field Paint Only facility. Please see pricing below. If you purchase a bag of 500 paintballs for each person in your group at time of booking, you will be able to purchase them at a $5 discount. *Please note: unused paintballs cannot be returned for refund and can never be brought back on subsequent visits, so please only purchase what you are able to shoot during your stay. Celebrating a 10th to 16th birthday? See our Birthday page to see if you qualify for a free gift from us! We are open year round and our normal operating hours are Saturdays and Sundays between 11:00 and 4:00. Most of our customers stay the whole 5 hours and we recommend a minimum of 3 hours including the sign-up and orientation process. There are days where we may not have a sufficient number of participants to be open, so if you are planning to pay at the door rather than prepaying to reserve spots, please call before you come out to make sure we will be open that day. The safest way to make sure we will be open and there will be spots available for your group is if you prepay in advance. You will also save money by doing so. If you are looking for something other than our standard Renter Only .50 calibre or All Welcome .68 calibre play, or want to play at a different time, click on the appropriate link below or contact us to discuss your options. We normally post up the upcoming weekend schedule on our Facebook page on Friday afternoons. If you would like to play on a weekday, please give us a call to check your options. We are able to open most weekdays but need enough advance notice to book staff. Prices are the same as our regularly scheduled games above unless you want a private game (see below), but we need a minimum of 10 players booked and paid in advance to open the facility and book staff. All weekday games must be booked by phone or email and we normally need weekday games booked a week or more in advance. Sometimes we can be more flexible, so give us a call and we will see if we can help you out. PLEASE NOTE that once we have a booking for a weekday game and others have made plans to join in, we have committed to being open that day and cannot give you a refund if you change your mind, so weekday games cannot be cancelled or rescheduled once others have joined. A private game means that only the people you book to play with you are on the field playing with you. There may be other people at the facility but they will be playing on other playing fields and not with your group. Our facility is limited to a certain number of groups, therefore private games may not be available every day. Private games cannot be booked online and must be booked by phone or email. To check availability, please give us a call or email us. To book a private game, a minimum 20 players must be paid for in advance and the cost is $29/player which includes field fees and rental equipment if needed.